Due to the great demand for closet design, Kitchen Views is proud to be partnered with Closet Factory. They are an industry leader in closet design and wall beds. Every piece is custom-made with an obsessive attention to detail. Storage solutions that are as unique as you are, whatever your style. Closets Designed Just For You! 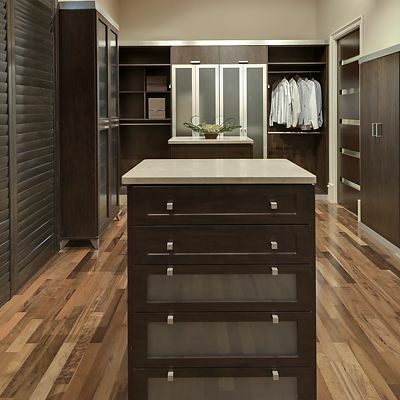 Closet Factory will custom design, manufacture and install closets for any room in your home. 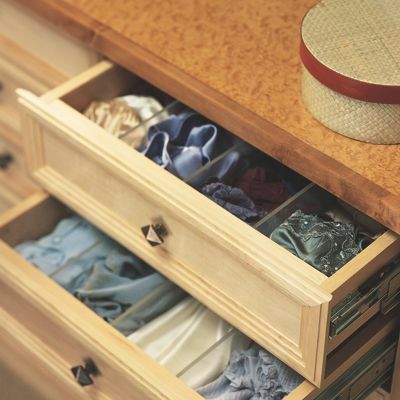 So whether you have a small wardrobe closet or a large walk-in, their closet storage design experts can create the ultimate custom closet design for you. They build custom closet organizers in a variety of woods and materials ensuring that the closets you choose match your personal style. They can also custom design, manufacture and install garages and wall beds. Closet Factory’s free consultation begins with an initial in-home presentation and needs assessment by an experienced and professionally trained design expert. The designer will assess your needs on every level, take a detailed inventory of every item to be stored, and show you a range of solutions. Whether it’s a closet, garage, or wall bed, you have a lifetime guarantee against defects in workmanship and materials. To make an appointment to meet with a Closet Factory designer, contact us or stop in at your nearest Kitchen Views showroom. Contact Audrey Barone, Sales Manager at Closet Factory and tell her you are a Kitchen Views or National Lumber customer. Call 978-253-4636 or email Audrey using the button below.